Content delivery should not be hindered by your content management software. You should be able to deliver your ideas as quickly as you can realize them. If you are finding that your current framework isn’t matching the rate at which your team produces quality content, then Contentstack may have the CMS solution for you. 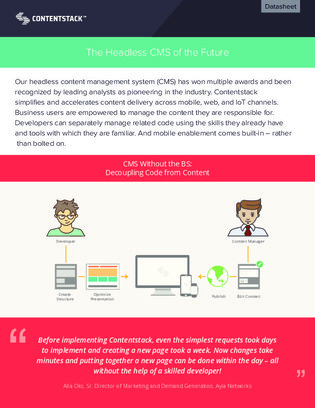 Read this white paper to learn more about Contentstack’s Headless CMS and all its benefits.